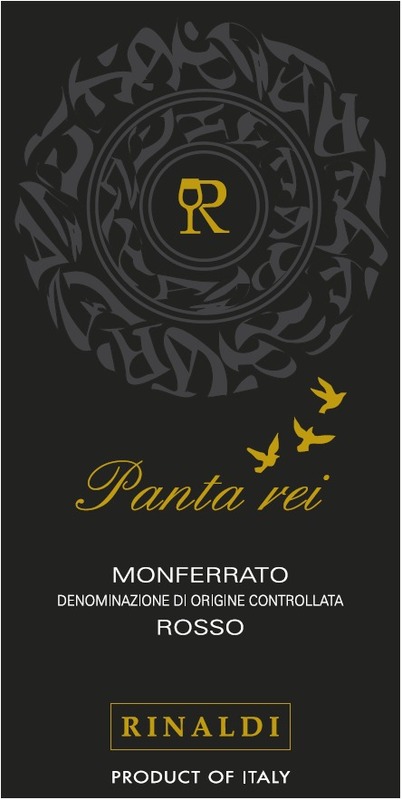 Rinaldi Panta rei Monferrato Rosso is a blend of 50% Barbera and 50% Cabernet Sauvignon. This wine is quite tasty, smooth, silky and powerful. It is loaded with dried red fruit notes from the appassimento of the grapes and it also has a lot of spicy aromas and flavors from the oak ageing. The average age of the vines is 30 years old. 10% of the wine is appassimento. Appassimento is an Italian term for drying harvested grapes, traditionally on bamboo racks or straw mats, for a few weeks up to several months to concentrate the sugars and flavors. This process is used in making Amarone, Recioto and Sforzato. This drying method is not traditional in Piemonte but is popular in other part of Italy like in the Veneto region. Thanks to this new method the wine is rounder and softer, boasts beautiful notes of red dried fruits. Pantarei is aged 14 months in French oak ((the wood is Allier, medium toast) barrels and 6 months in bottle before release. Delicious with wild game, grilled meat and strong cheese.